The Canon ImageCLASS D661 is a machine with large paper storage capacities but low performing functions in both the printing and copying categories. This aging giant was once the top of its class, but now most likely appeals to a very small crowd. 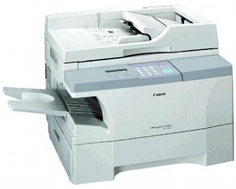 The oversized paper handling abilities of the Canon ImageCLASS D661 are most likely its best asset. In a world where we see much of the 250 sheet paper tray standard, this bulkier unit maintains a full 500 sheet paper tray good for an entire ream of paper at one time. It also comes complete with a 100 sheet multipurpose tray that is essential for loading special media types such as transparencies, letterhead, custom paper sizes, and envelopes. The unit can also accept an additional 500 sheet tray that would almost double its paper capacity, though this would be an unlikely upgrade for such a light duty machine. 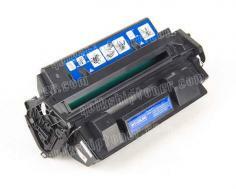 The paper trays are, however, front loading cassettes, which means that refilling supplies will be very convenient, as will toner changes due to Canon's single cartridge system. For such a sluggish device, its advertised warm up time of only 1 second is fairly eye catching, if not all out hard to believe. Its first copy out time of 13 seconds seems more reasonable, as we would usually like to see first page out times running under ten seconds with today's faster, higher powered multifunctional printer /copiers. 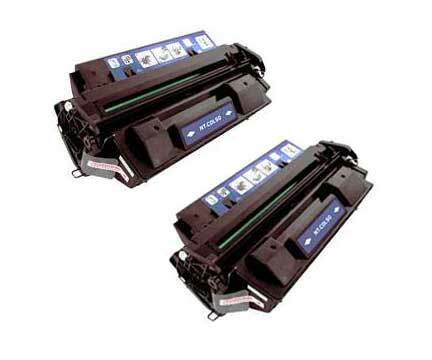 Print and copy speeds alike are very sluggish for this printer / copier combo. 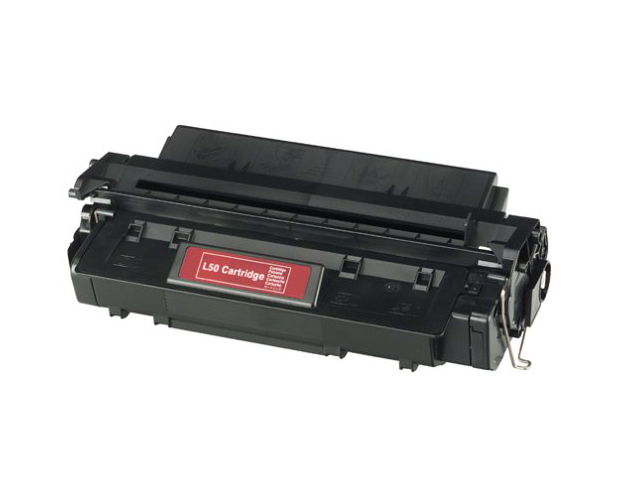 While print speed maxes out at 13 pages per minute for letter sized paper and 10 pages per minute for legal sized paper, which may have once been acceptable as far as performance, the Canon ImageCLASS D661 is no longer up to part with today's 30 page per minute MFCs. Furthermore, the device offers limited functionality, and no scanning abilities whatsoever. Though the Canon ImageCLASS D661 includes a very large multipurpose tray, its functionality is very limited concerning thicker paper. With an acceptable thickness range of 15 to 32 lbs, the usage of cardstock or even very thick envelopes is not allowed. Meanwhile the standard tray has an extremely limited compatibility range of 17 to 20 lb paper, meaning even slightly thicker professional paper, such as one might use for a resume, is considered incompatible. Only 6 MBs of copy memory is included with the device itself, and the additional 2 MBs of printer memory does not improve the situation. With such limited memory, copy speeds will suffer under stressful conditions due to complex copy tasks, and enlargement ratios are limited to 50 to 200%. Review it: "Canon imageCLASS D661 "
Canon's single cartridge system is designed to be especially user friendly, while also maintaining the cost effectiveness of laser printing. The Canon ImageCLASS D661's cartridge may be very large in size, but it offers a 5,000 page yield, and even includes a set of dedicated visual instructions to help make installation as easy and fast as possible for any novice user.